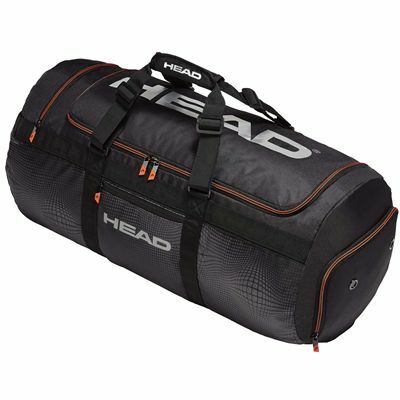 Offering perfect equipment storage and comfortable organisation, the Head Tour Team sport bag provides enough space for significant number of items required on the court, all sorts of garment, towels, and essentials. The bag boasts one major compartment for the larger items, and a selection of pockets including a front zip pocket for larger accessories, a side pocket for small items, and 4 large mesh interior pouches to keep everything tidy and functional. The bag is designed from a resilient material to last longer, and features a double carry handle with comfortable padding to ensure easy on and off the court commutes. for submitting product information about Head Tour Team Sport Bag We aim to answer all questions within 2-3 days. for submitting product information about Head Tour Team Sport Bag. We aim to answer all questions within 2-3 days. If you provided your name and email address, we will email you as soon as the answer is published. for submitting product review about Head Tour Team Sport Bag.